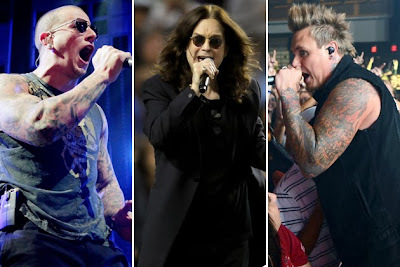 Papa Roach recently took a Make-a-Wish request to the next level! A teen fan battling a brain tumor had requested a chance for his own band to record an EP with Papa Roach in hopes of it gaining some attention from a record label. Papa Roach did that and much more during their meeting, not only helping Breaking Boundaryz record the EP but agreeing to digitally release it via Eleven Seven with a percentage of the proceeds going to the Make-a-Wish foundation. That got us to thinking if you had a chance to have any band grant one of your wishes, which band would it be? Metal fans would likely take any opportunity to meet and pick the brain of legends like Black Sabbath, Judas Priest, Iron Maiden, Metallica, Megadeth or Slayer. Or perhaps more modern acts like Tool, Avenged Sevenfold, Slipknot or Five Finger Death Punch would be in demand. For the hard rock fans, who wouldn’t want to hang with Alice in Chains, Pearl Jam or Green Day? And bands such as Foo Fighters and Papa Roach who embrace their fans heartily would be good choices as well. I think spending the day with M. Shadows would be nice.